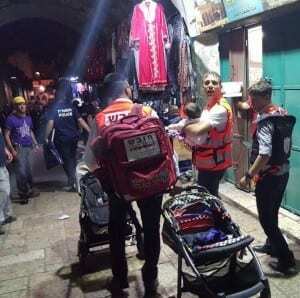 Nary a day goes by in the Holy Land without the average Israeli citizen witnessing a first response United Hatzalah volunteer rushing to an emergency on an ambucycle. The ambucycle, the brainchild of Eli Beer, founder and president of Israel’s volunteer EMS organization United Hatzalah, is a specially outfitted motorcycle with life-saving equipment allowing emergency medical staff to bypass traffic and arrive at emergencies within minutes. This is just one of many cutting-edge innovations credited to the life-saving organization. Last week, as thousands thronged to the tomb of Rabbi Shimon Bar Yochai to memorialize this prominent sage and mystic who enhanced the light of Biblical understanding during the second century CE, in the northern Israeli city of Meron, United Hatzalah initiated an improved way to save lives. Based upon many years’ of experience serving in Meron for this annual happening, United Hatzalah was prepared to treat at least 400 emergency calls during the 48-hour event. Due to the difficulty in past years finding the sick and injured people among the large area where the crowds congregate, this year new technology was implemented to save lives faster. United Hatzalah installed a touch-screen location-based dispatch platform which synchronized with its award-winning LifeCompass mobile command center. Screens were placed on the bandstand so that performers, with a wider view of the crowd, were able to simply push a button to alert United Hatzalah volunteers of the exact whereabouts of the injured or sick person. The simple but smart technology enabled the more than 800 emergency response personnel, including police, search and rescue teams, and other emergency agencies, to arrive in a matter of seconds. The new unit consists of 30 mental health professionals trained to provide emergency first response care for those suffering mental anguish, trauma and shock following a terror attack before being transported to a hospital. The unit was deployed during the last Jerusalem bus bombing on April 18, helping to provide emotional stabilization for victims suffering from shock in hopes that their recoveries would be easier and quicker. The unit is also credited with providing the medical care providers at the scene with an opportunity for faster and more effective work. 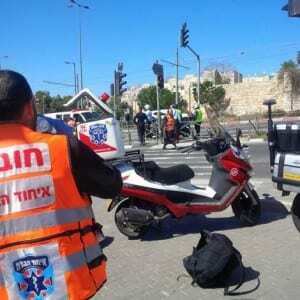 United Hatzalah clocks in more than 211,000 calls per year throughout Israel. With volunteers on ambucycles located in most communities, their present response time is under three minutes. 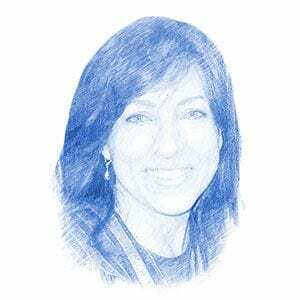 However, knowing that in an emergency every second counts, the organization is participating in the unique iAmIsrael crowdfunding campaign to raise urgently needed money to expand their services. Money raised will support training new volunteers and recertifying their staff of more than 3,000, purchasing 400 additional ambucycles which will reduce arrival time to emergencies to less than 90 seconds, and additional GPS satellite location communication gear which matches the closest volunteer to the emergency.